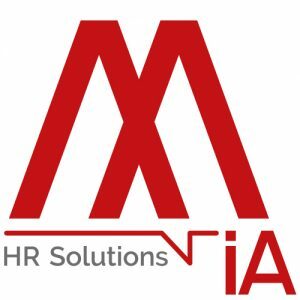 In order to support you in your development, ManagerIA, recruitment company recognized by its customers and candidates, has developed its know how into a wide range of solutions, LeadIA, Wonderfoodjob, Ifr-A, each one under a separate entity, are gathered under the MIA Group. Since 1990, ManagerIA, the historical brand of the Group, has developed consulting and recruitmentactivities for more than 300 customers in the agro-food and life sciences sectors. Backed by 25 years of expertise our firm draws on a unique database and cutting-edge headhunting methods to carry out efficient recruitments of executives and specialists in the agro-food business. Development depends primarily on the women and men who drive the company. LeadIA provides confidential assistance for themanagement of agro food companies as they plan for their future: strategic support, organization, recruitment of top managers and administrators. The search for interim managers, a specific and unique area of executive recruitment, offers a solution in emergency situations. New technologies and the power of Internet-based networking represent a true technical breakthrough in the recruitment process. Wonderfoodjob offers new personalized solutions adapted to today’s companies: free job postings on Wonderfoodjob.com,webtracking, access to market databases, email campaigns, international broadcasting partnerships, recruitment policy and employer branding, etc. For more than 20 years, we have established partenrships with a network of recuritment agencies specialized in the food business, in order to provide efficient support to your international recruitments of top managers, managers and specialists worlwide.